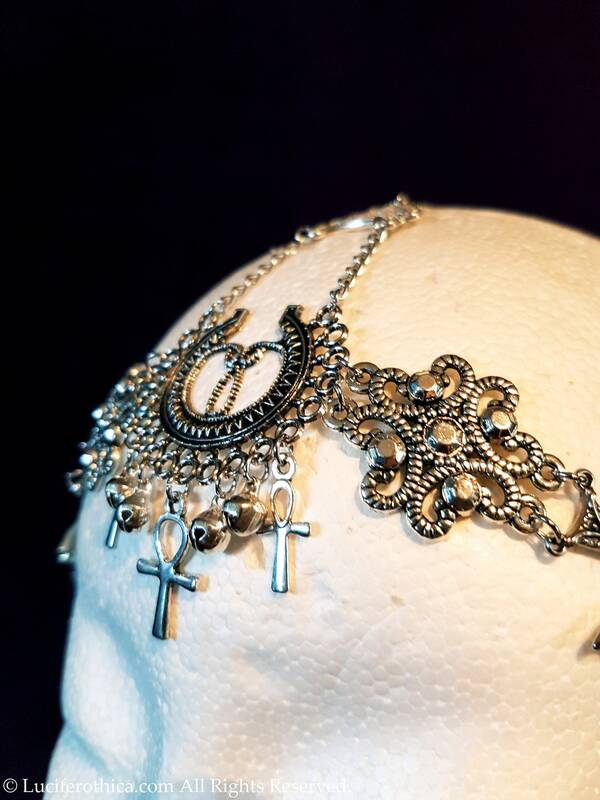 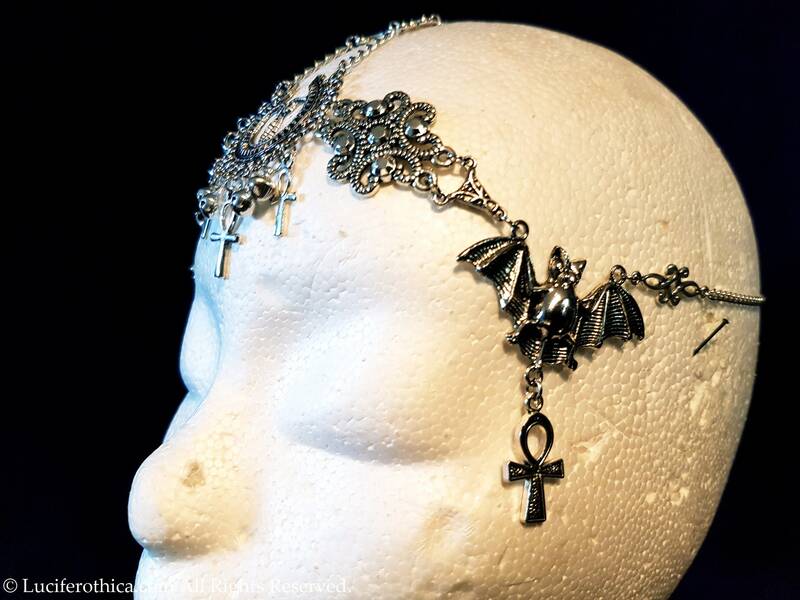 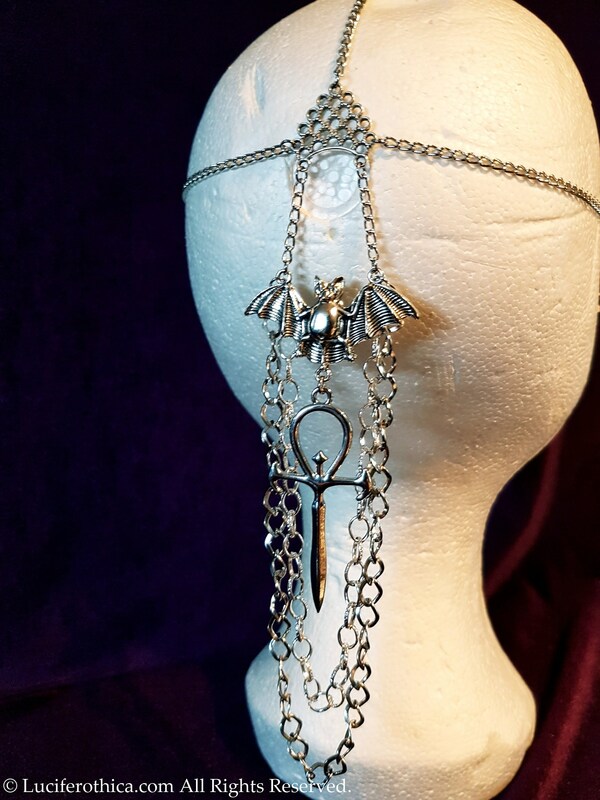 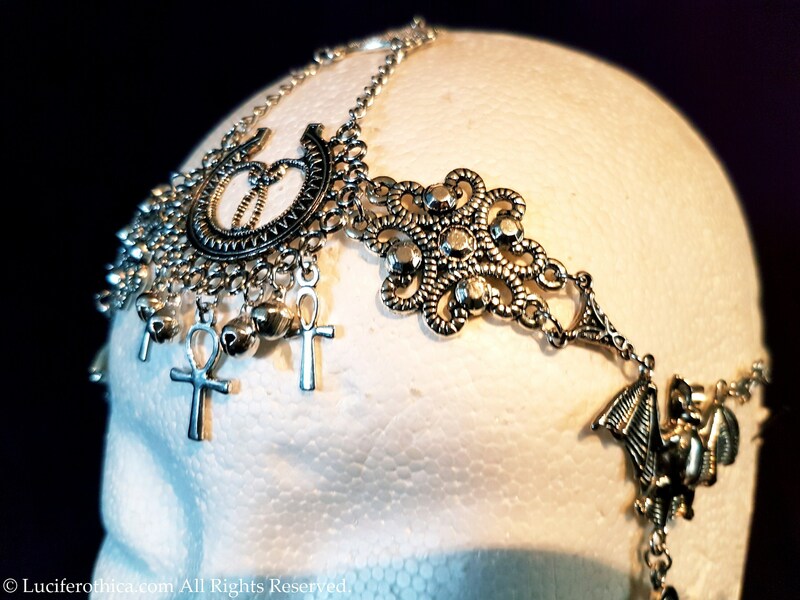 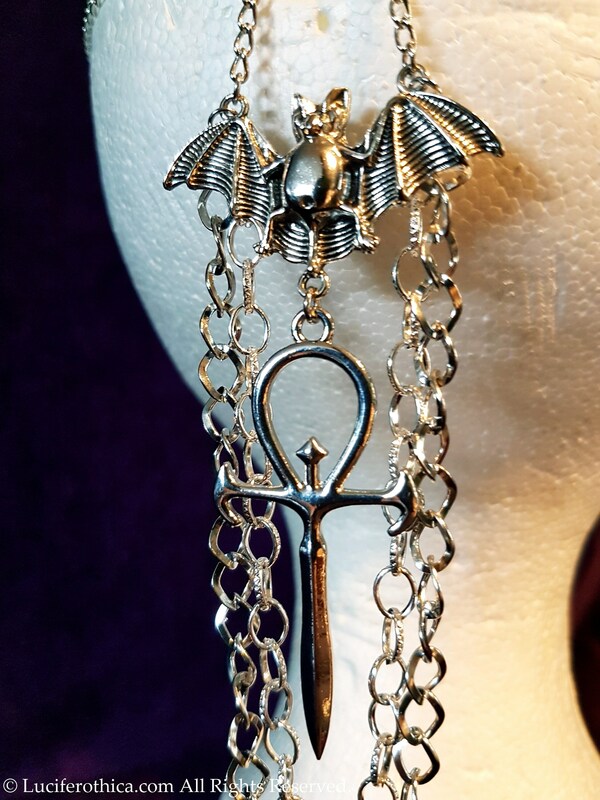 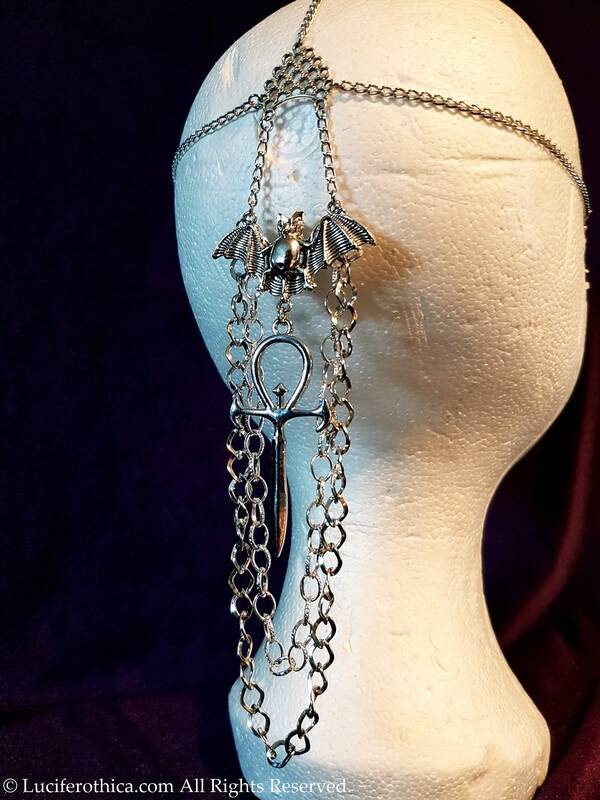 Beautiful handmade tiara with a chained vampire ankh at the back. 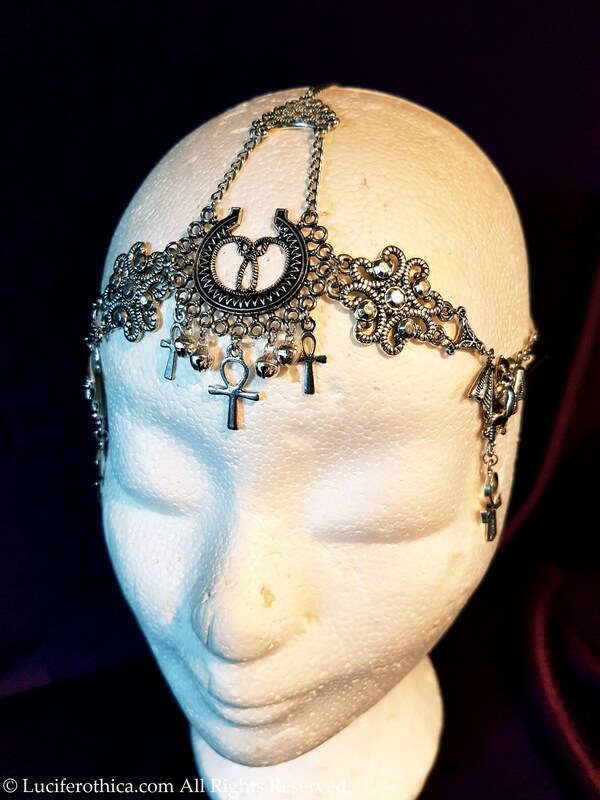 Goes over the top and over the sides of the head. 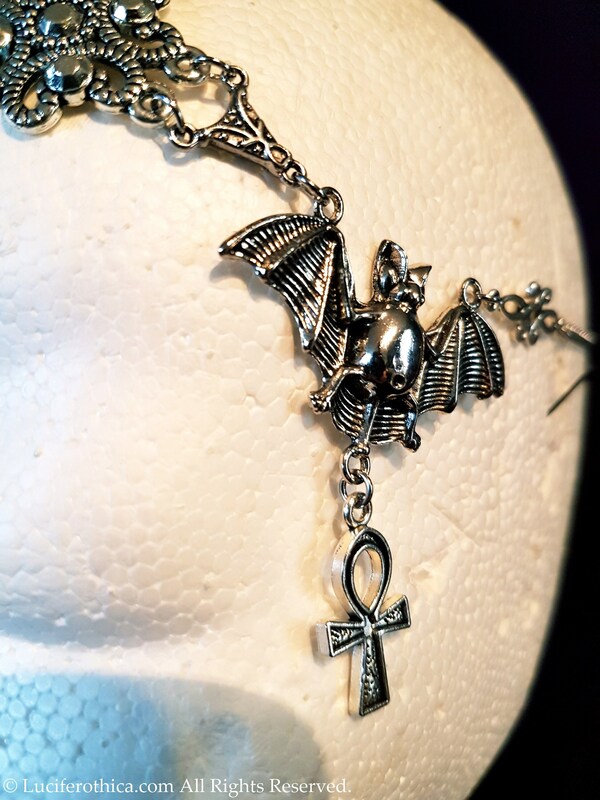 2 Flying bats at the sides carying anks. 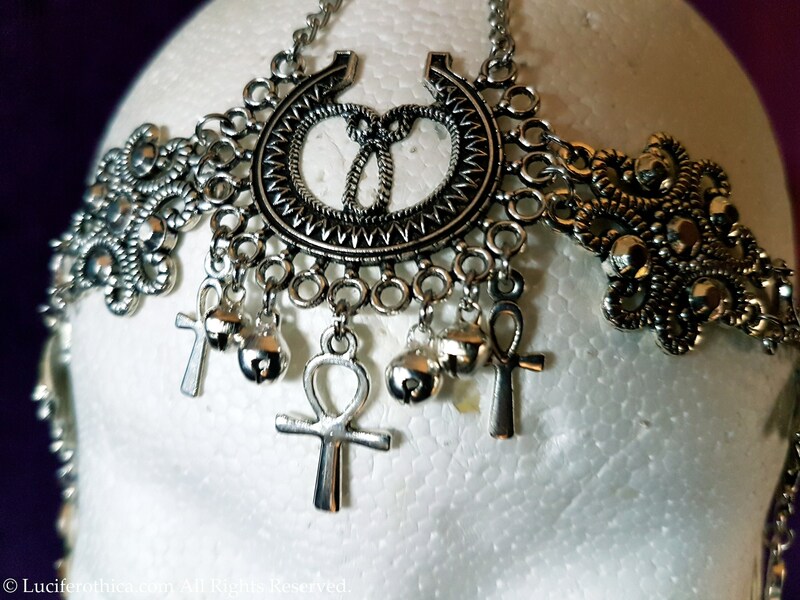 Crescent pieces with lot of small ankh symbols.